Why is Radon a Risk? How and Where Should Radon Be Measured? Looking for a radon test kit? If you live in Utah, a test kit can be a lifesaver, literally. This odourless, colourless gas acts as a carcinogen when it hits your system. Radon creates damage over time and works slowly. According to the EPA, Radon is the number one cause of lung cancer among non-smokers. Studies from both North America and Europe have linked evidence of radon exposure to lung cancer. But why is this so prevalent in Utah? Radon contamination happens because of the state’s rich history as a mining location. Where does it come from? Due to abundant minerals and mining, uranium is plentiful, and as this breaks down, it produces the gas radon. Potential spots with high and dangerous levels of Radon are near mountain ranges and mine tailings especially. Tailings are huge sources of radon. Tailings are also known as mine dumps, slimes, tails, refuse, leach residue and many other names. They are slurries of material leftover from separating the valuable minerals from the previous ones during the mining process. Miners would ditch tailings slightly offsite or thrown into water heading downstream. Today the uranium has been found all over the state in the soil, water beds, and more. We measure radon by picocuries per litre (pCi/L). A safe amount of radon is 1.3 pCi/L. Anything above 1.3 pCi/L is risky for health. The absolute “threshold for action” is 4.0 pCi/L which should have immediate action. Detection of radon in a Utah home or living space is essential to keeping risks and potential health hazards at bay. Remember that radon damage occurs over time and not all at once. It is worth checking once in a while on living spaces. Families with construction nearby, remodelling or any other kind of construction can be at risk and should consider retesting. Other factors that might impact the level of radon in a home or any sort of building include the integrity of the foundation, construction material, soil or earth composition on site, and weather patterns. Radon can enter buildings through various ways including gaps between suspended floors, holes in service pipes, cavities in your wall, water supply, and cracks in floors or walls. Air pressure differs when it comes to inside homes versus outside. This can cause suction, pushing air into your home. Levels of radon may be present at different times of the year due to a change in wind direction, temperature, or humidity. Basements are particularly prone since they are so close to the soil. If your water is from a lake, river or reservoir, you should not worry, but if you pull from a well or underground source, check the water source. Homes are where many people spend most of their time, but consider office spaces as well. When was the last time you checked your areas for radon? Even if you haven’t had recent construction, normal wear and tear or settling of homes can leave exposures over time. This is why the Utah Department of Environmental Quality’s Division of Radiation Control recommends checking houses occasionally, even if you’ve tested in the past. In 2017, the average home test kit for radon came in at 5.15 pCi/L. Wasatch County came in with the highest average at 15.49 pCi/L and Summit County the lowest at 3.62 pCi/L. Devices on the market to detect radon are plentiful. Options come in both analogue and digital, with short term or long term detection times. Digital hand-held readers are great for finding out levels quickly, with a swift ability to detect areas in a home where concentrations are higher or lower. An investment in such a device allows quick reads used to identify seasonal differences. You may also test different spots in rooms and see where it is settling. 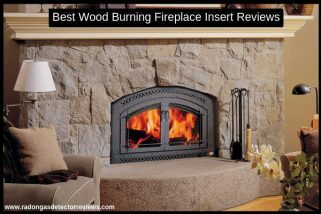 This can aid with creating a plan for sealing your home and diverting air flow. The long term electronic radon detectors are for continuous monitoring. These monitors are more expensive but also provide. Electronic monitors work by taking a sample of the air. Radon levels above 4.0 pCi/L trigger an audible alarm. It will take some maintenance though. Certain devices need owners to send to a lab to keep them working accurately. 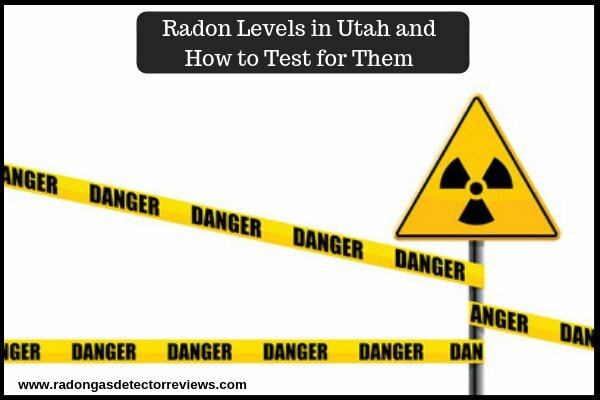 The equipment and the upkeep required to use this long term radon detection strategy costs money too, so keep this in mind when comparing what kind of radon test kit you may need for your space in Utah. Analogue tests will require a charcoal based package to be set in a location anywhere from a few days to 90 days. They will allow users to get a quick answer to radon levels and a surefire way to test for exposure and risk in specific locations. If you need an answer to what levels looks like right away, this is a good test. Humidity does potentially influence charcoal readings. Living somewhere dry will make readings more accurate. There are also alpha track radon test kits on the market. Long term analogue tests will take more than 90 days. You cannot detect radon gas by smell or vision, but it is easy to find with the right tools. Long term tests give a better reading of year-round averages, season changes, and long term exposure. For serious conditions, an air-mitigation system helps redirect airflow in homes. Designers and installers of air mitigation systems use these types of test to inform their placement of the system since they will show problem areas.